Abu Dis is a special place for CADFA as it is our partner place in Palestine, the home of Dar Assadaqa, the focus of our human rights reporting and the base for our visits and volunteering in Palestine. 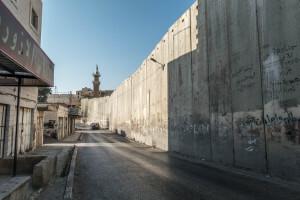 Abu Dis is one of three small towns in the suburb of East Jerusalem, next to the Mount of Olives, cut away from Jerusalem by the Israeli Separation Wall progressively from 2002. Abu Dis is in the West Bank, part of Palestine but was taken over by Israeli Occupation in 1967. Lots of the village lands have been taken to build illegal Israeli “settlements” – now massive townships – Maale Adumim, Kidar, Mishor Adumim. 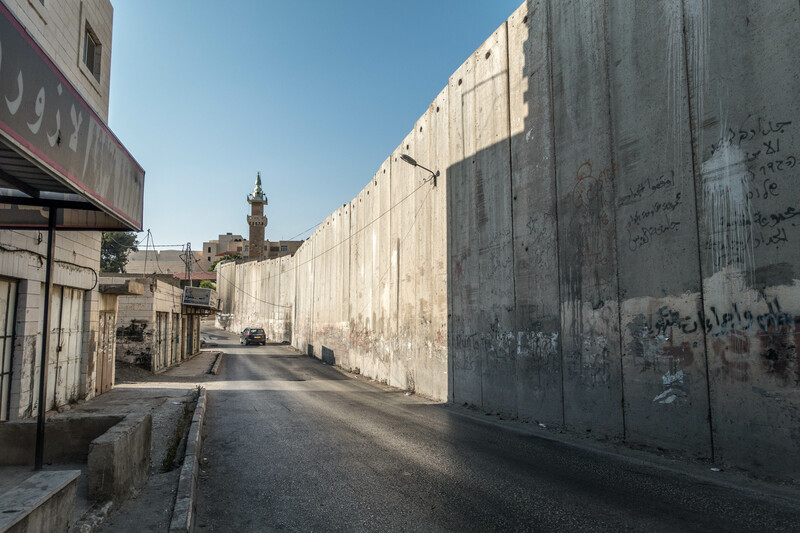 Because of its proximity to Jerusalem (you could walk into the centre of Jerusalem from Abu Dis easily if you were allowed), people have been born there in the maternity hospital, gone to school there, gone there to work, to hospitals, to the cinemas and the theatre. But these links are now disrupted by the Israeli Separation Wall. People are struggling to live a normal life, and children are very motivated to improve their education. However, Abu Dis suffers badly as does all of Palestine from the Israeli occupation. The most terrible single thing in Abu Dis this year was the loss of two young lives in July – see below*. The background is the increasing pressure in Palestine as the Israeli government and settlers are working hard to extend the Israeli settlement project in the West Bank and to control and restrict the Palestinians to small areas of the country. This can be felt within Abu Dis at all levels. There are difficulties in building the infrastructure needed for the growing number of people in towns like Abu Dis. We feel particularly worried about the water supply which is controlled by Israel and unequally distributed, and is not enough for local Palestinian communities; and also the sewage situation, which the local council cannot resolve as Israel has refused to allow a proper sewage infrastructure to be built. There are holes in half-demolished Abu Dis homes which Israel refused to let them build because Palestinians are not to expand their area despite the growing population – but the homes still standing as they are not allowed to take them down, either. Meanwhile the growing infrastructure for new Israeli settlements in the E1 area can be seen clearly on the hills around Abu Dis: the lawns and swimming pools of the Israeli settlements, new roads cut into the hills everywhere in preparation for more settlement housing, and the foundations of a new area where Israel wants to rehouse the Bedouin as part of their clearance from their existing villages to make way for the settlement project. The military occupation controls the lives of Palestinians at all levels, with a military camp in the middle of Abu Dis, restrictions on movement that affect all parts of life from birth to death, regular imprisonments, frequent army violence. Young people have grown up as the third or fourth generation under occupation. Their education is often disrupted by military activities, checkpoints and tear gas around the schools and university, and their life chances are affected by the military occupation on every level. It is a cruel context that was made more bitter this year by the announcement of the new American administration that they would move the US Embassy to Jerusalem, suggesting a wholesale acceptance of Israel’s claim on the city. Protests and deaths followed, compounding the worsening situation since autumn 2015 which has seen many young people killed particularly at checkpoints and protests on a regular basis all over the West Bank. It is a difficult situation for families in Abu Dis, struggling to educate their children and to live a normal life, but having to deal with areas full of tear gas, waits for military permission to see if they can go to a hospital for an operation or get work in Jerusalem, watching with particular trepidation as their sons and daughters pass the local checkpoints and hearing news of blatantly racist speeches in Israel against the Palestinians, and discussions of annexation of the settlement blocks or even the whole of the West Bank. Threats to parents in Abu Dis, asking them to stop their children being involved in demonstrations. A new Israeli checkpoint in the wall was built after taking away land from Essawiyeh village. *Most tragic of all, on two consecutive days in July in the middle of this year, two young men from Abu Dis were killed as a result of protests against the situation in Jerusalem. Mohammed Lafee (18) was shot and killed by the Israeli army just after celebrating his success in towjehi (A levels). And the following day, his friend Yousef Kashour (19) died at Mohammad’s graveside in a demonstration that followed.